Koderma Police is committed to delivering the most efficient, effective, productive and quality Police Service to the Community. We are dedicated to the advancement of a cooperative relationship with our community to develop better Community Policing, Improved Communications and reduced crime and naxal problem. We shall strive to develop a comprehensive strategy to resolve the public safety issues and enhance the quality of life with in our community. The Koderma Police is open, friendly, transparent and helping to public service, unyielding in purpose and dedicated to live by values reflecting a genuine desire to care for the safety and well being of the public. Koderma District was created on 10th April, 1994 out of the Hazaribagh District of the North Chhotanagpur Division. It is known as the Mica Capital of India. Koderma & Telaiya are only two important towns in the District. Koderma is district town of Jharkhand and is well known for richest Mica deposits and is also called as “Abhrakh Nagari”. It is bounded on the North by the Nawada district of Bihar, On the South by Hazaribagh district of Jharkhand, on the east by Giridih district of Jharkhand and on the west by the Gaya district of Bihar. Koderma district lies in the Chhotanagpur plateau. The area exhibits undulation topography compromising hills, hillocks, plains and mounds. Northern part of the district is occupied by Koderma Reserve Forest. The highest peak is Debour Ghati (677 meter) which is the state boundary of Jharkhand and Bihar. Presently the Reserved Forest of Koderma district is declared as Wild Life Sanctuary. 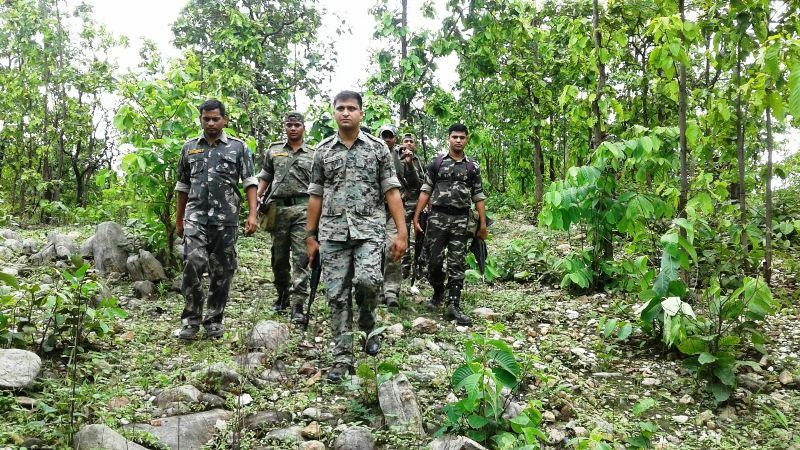 Koderma is one of the districts where the district police has managed to not only withstands the onslaught of extremism but has actually pushed it back. 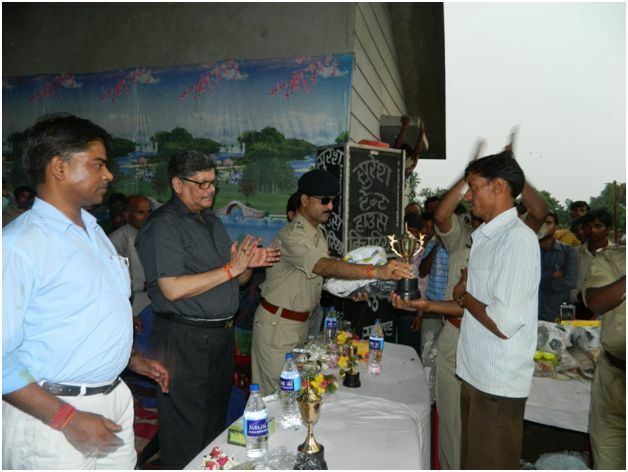 The success story is centred around constitution of Village Defense Parties in the police station areas of Markacho P.S. and Domchanch O.P. These Village Defense Parties comprise of one to four villages grouped together and have been given the name of Eklabya Task Force (ETF). They have achieved remarkable success in eliminating and sanitizing the area from extremist presence and influence. They have been given all moral and possible logistic support by the police which also includes setting up strategic pickets in village Dagarnawan of Markacho P.S. and village Sapahi of Domchanch O.P. of Koderma P.S. There are at present 23 Eklavya Task Force units working in these areas. 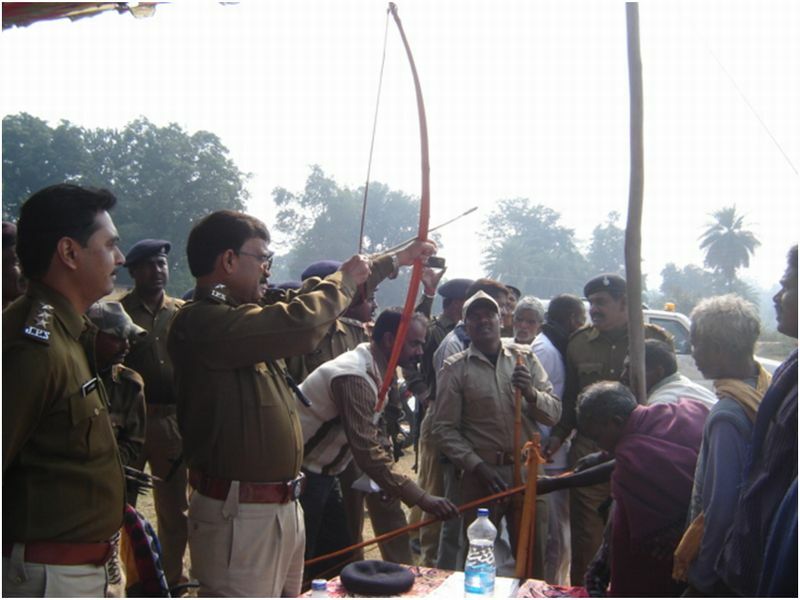 In the year 2007, not a single case of naxal violence has been reported from Koderma district. 2. Indradev Singh S/n Nayan singh both age Vill - chalkusha Ps hazaribag Jharkhand. -- -- -- -- 1 TATA Magic cream color JH10BA3768 Coal loaded 2.9000 thousand rupees. 3 Tilaiya p.s case no-281/17, dated 12-09-2017 Sec 25(1-B)A/25/35 Aram Act 1. Saryu bhuiya S/o Parshnath Bhuiya vill bandi Ps chandwra koderma. 2 Nawalsahi PS case no 06/16, dated 20.01.16 Sec 279/427/120B I.P.C and 4/5 explosive act . 1.Nishu kumar Mehta. All vill Bhita, PS Tishri. 2. Rajesh Singh, Brahamdev yadav singh, S/o lalmani singh, At dhenwar, nawadih, P.S ganwa, Giridih. 3. Triveni Sharma, S/o Baleshwar Sharma. 6 Teliya PS Case no- 40/13, dated 24.02.13, Sec 414/120B I.P.C and 3/4/5 explosive act 1 .Vikash Chandrawanshi, S/o Krishna Prasad, At loko colony, PS Delha, Gaya. 2. Prabhat Kumar mishra, S/o Laxmikant mishra. 3. Punand Kumar, S/o Anil Kumar, At sadashora, P.S civil line, Gaya, Bihar. -- -- -- -- 01 white colour indigo car without reg no- 480 pices detoneter. 3. Mukesh Saw, S/o late Madan Saw. At mathadih, P.s Domchanch, Dist Koderma. -- -- -- -- 35 liter Mahuya wine and 350 kg Mahuwa. 10 Teliya PS Case no 64/13, Dated 15.03.13, Sec 20(1)/21/22 NDPS Act 1. Sudhir singh, S/o Aadit singh. 15 Markacho PS Case no- 63/13, Dated- 21.04.13, sec 379/411 IPC 1. Teklal Yadav -- -- -- -- 01 Motercycle recover of theft. 3.03 country made pistol -- 02 looted Jewalery and other things. 9mm country made pistol -- 5 13 Mobile. 3. Sagar Sharma, All of vill.- Nawalshahi, PS- Markachcho, Dist.- Koderma. -- -- -- -- Motorcycle. Bottle corck seal machine-03 set. Keshmel Chemical in a drum-10 Lit. 18 Koderma PS case no. 302/12, Dt. 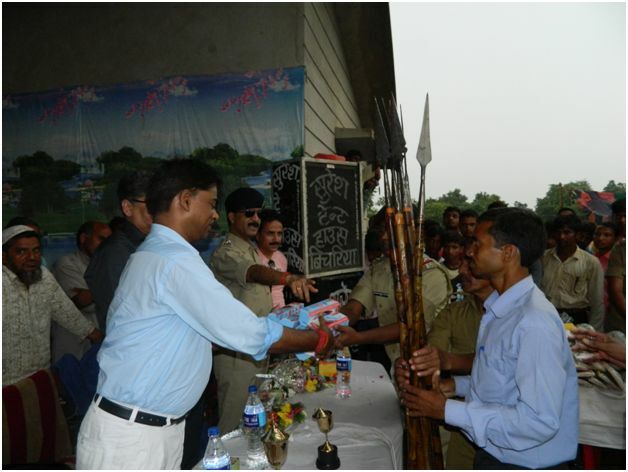 30.09.12, u/s.-394 IPC -- -- -- -- -- Looted truck recovered. 20 Domchanch PS case no.- 122/12, Dt.17.11.12, u/s.-364/34 IPC -- -- -- -- -- Kidnaped person Laxman Mehta recovered. 5 Jainagar(Tilaiya dam OP) PS case no.-17/11, dt. 01.02.11, u/s.- 414/34 IPC 1. Raju Saw @ Rajendra Saw, S/O Late Gayani Pd. Saw, Vill.- Jainagar Tilaiya dam op, Dist.- Koderma. -- -- -- -- One Truck Iron. 6. Churaman Kr. 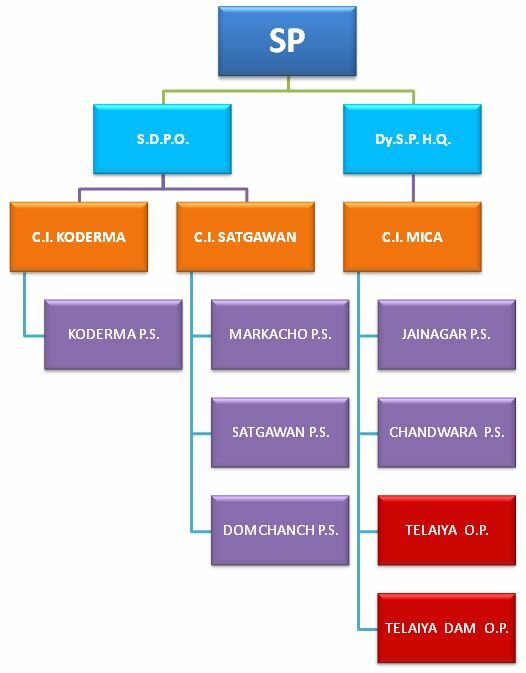 Mehta, Vill.- Jarudih, All of PS- Domechanch, Dist.- Koderma. 14 Koderma(Tilaiya) PS case no.- 218/11, dt. 25.05.11, u/s.- 457/380 IPC -- -- -- -- -- Nokia Mobile. 18 Jainagar PS case no.- 103/11, dt. 21.08.11, u/s.- 25(1-b)a/26/35 Arms Act. 1. Chandan Singh, S/O Balvant Singh, Vill.- Masmohna, PS.- Jainagar, Dist.- Koderma. Two small piece about half gram in paper like as gold piece. 23 Chandwara PS case no.- 106/11, dt. 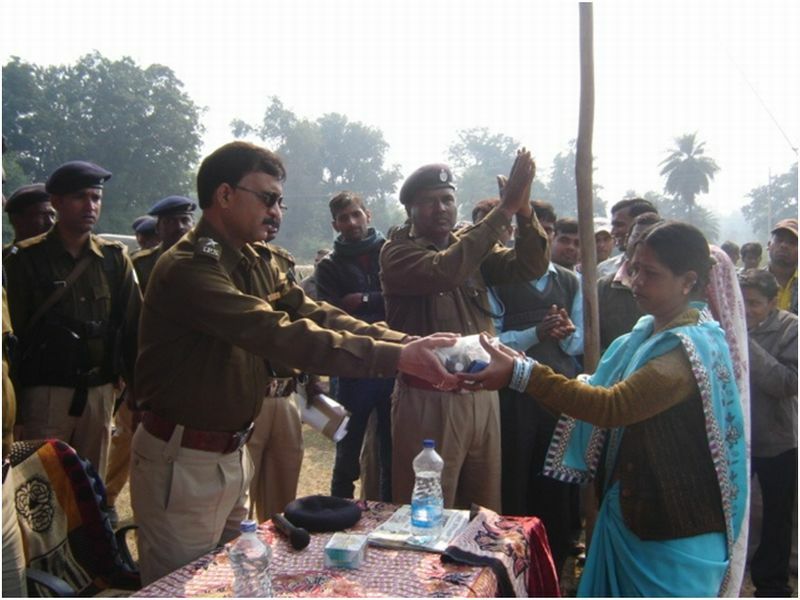 08.12.11, u/s.-395 IPC Unknown person 6-7 -- -- -- -- Looted truck recovered from Hawrah Kolkata. 2. Rajesh Prasad S/n Sitaram Prasad kosma barkatha hazaribagh. 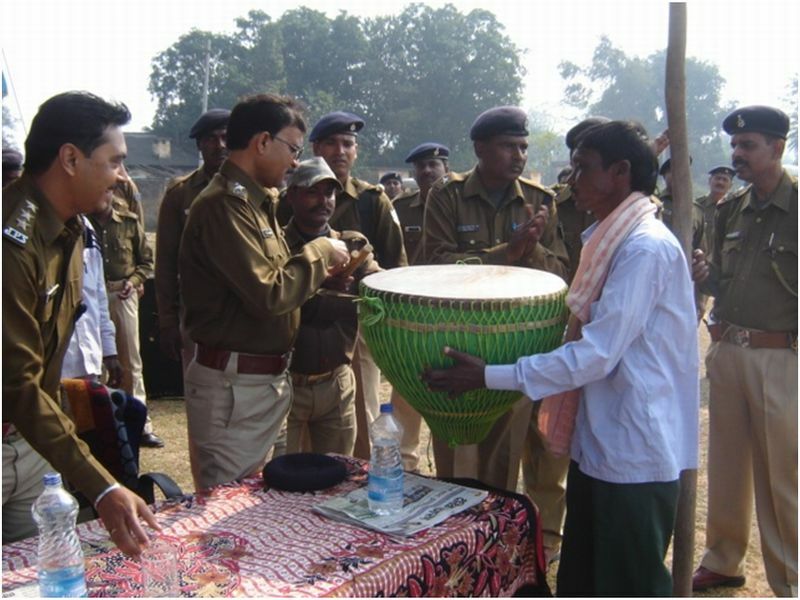 Police developed friendly relations with the people and particularly the youth of the interior areas and educated them against the naxals. 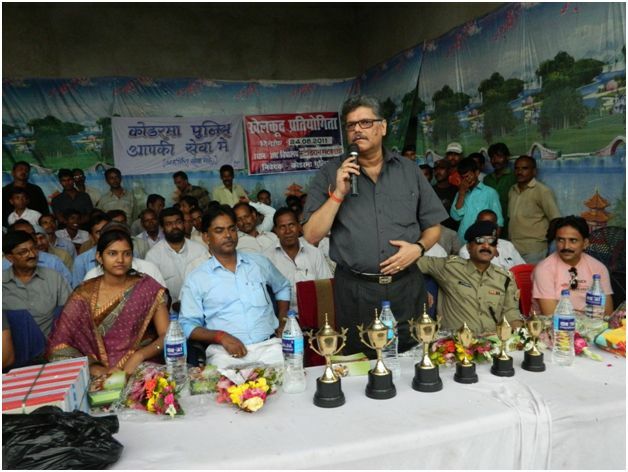 To encourage the youth we organized foot ball tournaments and cricket tournaments at all block levels and at district level. We have distributed sport kits and carom boards and other games kits in interior schools to encourage school children to get away the fear of police in the in the minds of children. We distributed solar lamps in the remote areas where there is no electricity.